Lorenzo Del Sorbo is an intensive Care attending at Toronto General Hospital, since appointment in 2016. He graduated in Medicine at the University of Torino, Italy. He trained in Internal Medicine at the University of Torino, and in adult Critical Care Medicine at the University of Toronto. He was appointed and worked as an Assistant Professor of Intensive Care Medicine at the University of Torino, Italy. Lorenzo’s main academic interests focus on the application of innovative strategies to prevent the injury induced by invasive mechanical ventilation. These include investigations on extra-corporeal life support strategies in patients with ARDS and COPD exacerbation, on non-invasive ventilation. 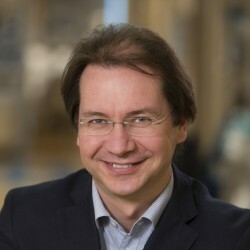 His work also extends into the translational research defining the mechanisms of organ injury and developing novel therapeutic approaches in cell and animal models of critical illness. 2004 Postgraduate Fellowship Award, Department of Medicine, University of Toronto, Toronto, Ontario, Canada. Project title: “Molecular mechanisms of interaction between cytokines and bacteria in animal models of ventilation associated pneumonia”.